Over at Ardnet Online Solutions we’ve been working very hard on a brand new website. The new content managed website allows us to communicate much quicker with our customers, providing quick links to our facebook and twitter feeds as well as a regularly updated news section that is available by RSS feed as well, making it readable by RSS devices and apps. It also includes a sign up form for our mailing list. 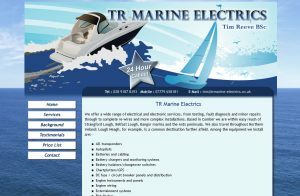 The website is fully smart phone compatible and search engine optimised so that we can be found, no point in a brand new website if no one gets to see it. This new site uses our latest content management package making is so easy to update. We’ve also been producing other sites recently using our content management engine and will be talking about these later on in this newsletter. Visit the site now at www.ardnet.co.uk. 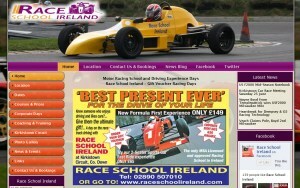 We’ve been along for a days racing with Race School Ireland at Kirkistown and can totally recommend it as an amazing day out.Race School Ireland offer driving experience days driving Formula Ford and Formula ZIP cars. The website allows customers to buy gift vouchers, view photograph galleries and read the latest news as well as adopting the latest social media plugins.